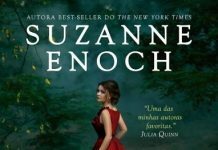 A editora Gutenberg anunciou em suas redes sociais que publicará os livros da autora norte-americana Suzanne Enoch, essa é uma excelente notícia para os fãs de romance de época. A primeira série a ser lançada se chama “No Ordinary Hero”, que conta com dois volumes publicados no exterior. 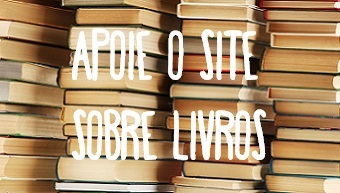 Não foi informado a previsão de lançamento para os livros no Brasil. Scotland, 1812: He’s ferocious and rugged to the bone, an English soldier more at home on the battlefield than in any Society drawing room. And when Major Gabriel Forrester learns that he’s inherited the massive Scottish Highlands title and estate of a distant relation, the last thing he wants to do is give up the intensity of the battlefield for the too-soft indulgences of noble life. But Gabriel Forrester does not shirk his responsibilities, and when he meets striking, raven-eyed lass Fiona Blackstock, his new circumstances abruptly become more intriguing. Like any good Highlander, Fiona despises the English—and the new Duke of Lattimer is no exception. Firstly, he is far too attractive for Fiona’s peace of mind. Secondly, his right to “her” castle is a travesty, since it’s been clan Maxwell property for ages. 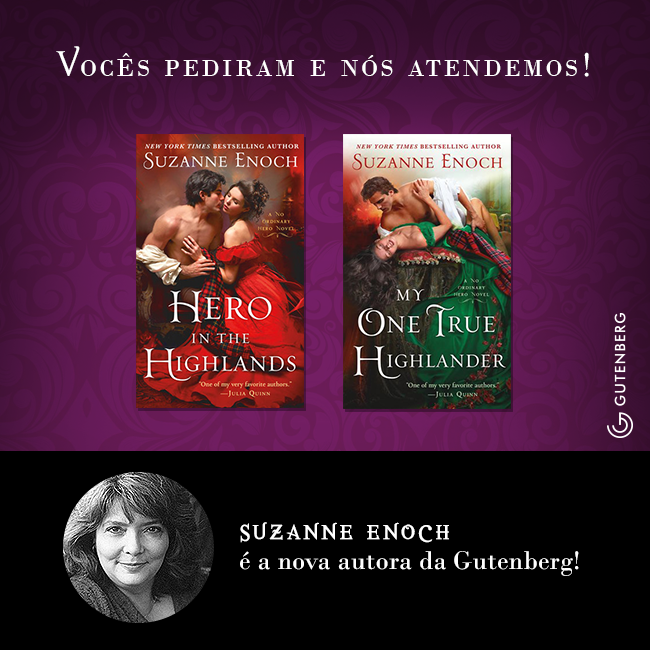 As the two enter a heated battle of wills, an unexpected passion blazes into a love as fierce as the Highlands themselves. Is Fiona strong enough to resist her enemy’s advances—or is Gabriel actually her hero in disguise?